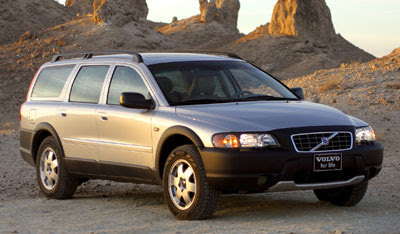 When you think of Volvo what’s the first thing that springs to mind, safe, reliable, solid? 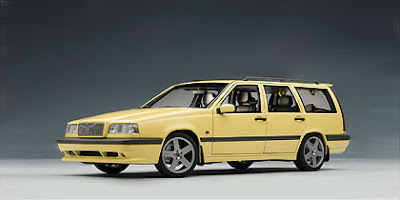 It’s strange then when you look back at some of the cars and more importantly, innovations that Volvo has under its belt its little wonder the brand isn’t held in more esteme. Before this performance saloons ruled the way. If you wanted a powerful and fast car suitable for a family use, then you were limited to executive saloons with limited practicality and an over dollop of luxury items. 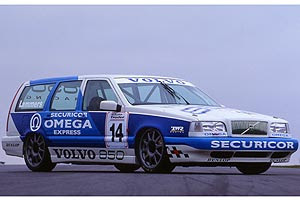 When the T5 came out with its 5 pot turbo engine and Volvo decided to go Touring Car racing with it, the world thought they had gone mad. A boxy estate racing against sleek desirable saloon cars!!!!! But they did in 1994. I can still remember the two of then driving round circuits side by side. After seeing that the men at Volvo didn’t seem so mad, after all with two large estates alongside each other nothing was going to get past. This was a time when additional aero additions to the cars were banned. The car in the showroom had to have the same body kit etc as the race car. This is the reason the Alfa Romeo you bought at the time had a rear spoiler supplied in the boot so as to allow it in racing. In its day the Serria Cosworth Saphire was the benchmark to which all “fast” cars were measure, so ruthless was its power and delivery that its was written out of touring car years before. This was the Daddy of the street. Then came along this box on wheels and blew it away. This was truly a “cossie killer” an estate car with little in the way of bulging body work or in your face styling laying waste the established king of the red light drag race and you could get a fridge in it!!!!! So its legacy today apart from the engine sitting in the new Focus RS, every manufacture now produces a performance estate for the family man who likes to still be a teenager on occasion. Think back say 15 years if you wanted a practical car that had the capability to go off road on occasion then your choices were limited to the larger 4x4’s, Landrover Discovery, Nissan Patrol, Vauxhall Frontera etc failing that you had to choose between practicality in an estate or a smaller 4x4/soft roader. 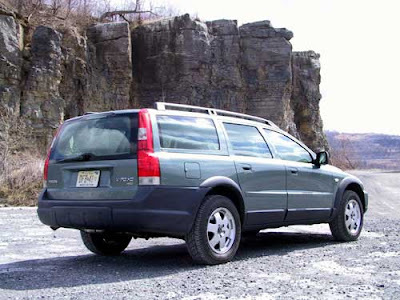 Volvo in 1997 produced the first true cross over vehicle, by taking their large estate and raising its ground clearance putting on bigger tyres and a robust plastic body kit the Cross County was born. More a large and comfortable soft roader this created a new market. Its legacy isn’t so noticeable today but back then nearly all the major manufacturers had a go, most notable Audi’s A6 based version, even Rover with its 200 based version and over in Europe Volswagen with the Golf!!!! 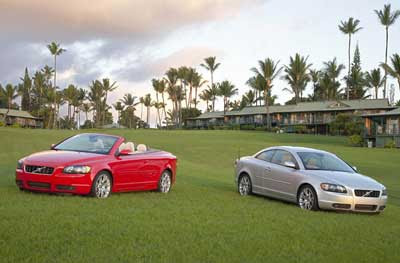 The above are just a couple of the most notable Volvo offerings, along the way Volvo has produced some of the most stunning coupes in recent years, At a time when most car markers were looking the other way for the next big thing Volvo looked back and produced its modern convertible. Thus at a time when this market was very limited to a handful of BMW’s and Audi’s. Now most manufacturers’ have a soft top in the line up. I think this is an article I may well revisit again in the future when no doubt another odd car will come out of Sweden, that will be quickly be taken up by others and the original forgotten. By rights when you think of Volvo you should be thinking more than just about build quality etc innovation and performance should be nestled in there somewhere. Now i wonder what will be coming out of Sweden next.